Our Eco Lite Easy Fasten Standoffs fit panels up to 5/8” thick and are available in a variety of different diameters to meet your every design need. The standoffs are stocked in a brushed stainless-steel finish and can be quickly shipped to the customers throughout the country via our warehouse facilities in New Jersey and Arizona. Outwater Industries offers a large variety of multi-functional standoffs, and if you need help finding the standoff that meets your needs, please contact our knowledgeable sales department for information on the entire collection. 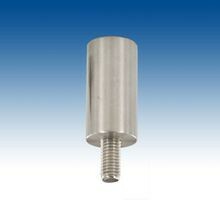 Outwater stocks these easy fasten standoffs in polished stainless and brushed stainless finishes, and in a variety of different barrel lengths such as 3/4", 1”, 1-1/2”, and 2” lengths. 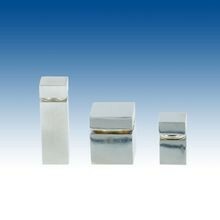 The Eco Solid Series standoffs fit panels up to 1/2” and 5/8” and can be used with unique signage and displays in retail stores, restaurants, hotels and more. 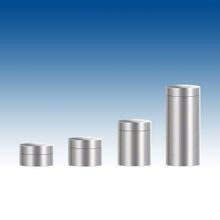 These standoffs are also available in several different diameters to help meet any design need. Outwater stocks the Eco Solid Series Easy Fasten Standoffs in our Arizona and New Jersey facilities in order to provide more cost-effective shipping to all of our customers. Customer service is a top priority at Outwater. If you are having difficulties finding the standoff that meets your needs, please contact our friendly sales department for information on the entire collection of standoffs offered by Outwater. This series of Eco Aluminum Easy Fasten Standoffs is stocked in our New Jersey and Arizona facilities, allowing us to provide faster and more cost-effective shipping for our customers. Included in Outwater’s vast inventory is the entire collection of standoffs. 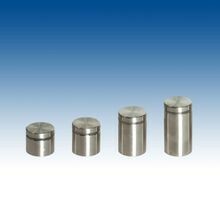 If you are having trouble finding a standoff that meets your design needs, please contact our friendly sales staff for information on each series of standoffs we have to offer. 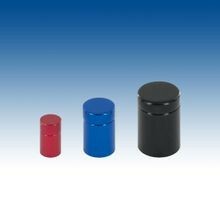 Our Euro mini standoffs are stocked in barrel lengths such as 1/2" and 3/4". Outwater’s Euro Miniseries Easy Fasten Standoffs work with panels up to 3/16” and 5/16” thick and are available in polished chrome and matte chrome finishes. These design friendly, small standoffs are stocked in Outwater’s Arizona and New Jersey facilities to provide all customers with more cost-effective and faster shipping. At Outwater, customer service is our #1 priority. If you cannot find the standoff you’re looking for, please contact our friendly sales department for information on Outwater’s entire collection of standoffs. 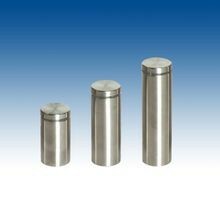 These standoffs are manufactured from a lightweight and durable material that can be used in a variety of indoor environments such as hotels, retails stores, restaurants and more. The Euro Aluminum Easy Fasten Standoffs come in 1” diameters and are available in a silver anodized finish. Outwater stocks these multifunctional standoffs in Arizona and New Jersey in order to provide more cost-effective shipping for customers all across the U.S. Customer service is our top priority at Outwater. 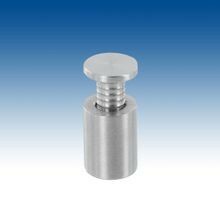 If you are having trouble finding the threaded aluminum spacer that meets your signage’s design needs, please contact our knowledgeable sales team for more information on all the standoffs that Outwater has to offer. 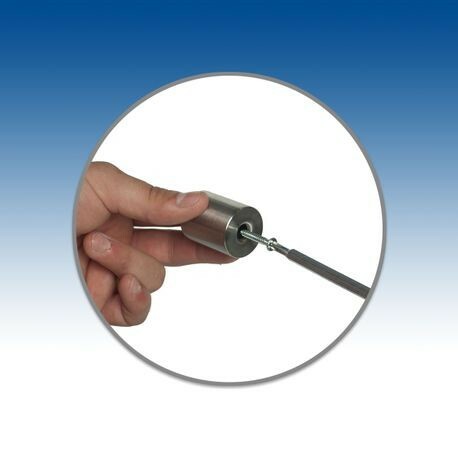 All of the materials needed for an easy installation are included with these standoffs, and Outwater stocks the entire line of Easy Fasten Standoffs in our East and West coast warehouses. This allows us to provide faster and more cost-effective shipping for customers all throughout the U.S. At Outwater, customer service is our top priority. If you are struggling to find the wall mount clear sign holder that meets your needs, please contact our knowledgeable sales department for more information on all of our versatile standoffs for signage and displays.